America can be booked through this site. America entertainment booking site. America is available for public concerts and events. America can be booked for private events and America can be booked for corporate events and meetings through this America booking page. Unlike most middle agents that would mark up the performance or appearance fee for America, we act as YOUR agent in securing America at the best possible price. We go over the rider for America and work directly with America or the responsible agent for America to secure the talent for your event. We become YOUR agent, representing YOU, the buyer. In fact, in most cases we can negotiate for the acquisition of America for international dates and newer promoters providing you meet professional requirements. America was a light folk-rock act of the early '70s who had several Top Ten hits, including the number ones A Horse with No Name and Sister Golden Hair. 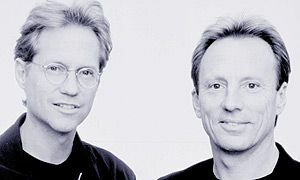 Vocalists/guitarists Dewey Bunnell, Dan Peek, and Gerry Beckley met while they were still in high school in the late '60s; all three were sons of U.S. Air Force officers who were stationed in the U.K. After they completed school in 1970, they formed an acoustic folk-rock quartet called Daze in London, which was soon pared down to the trio of Bunnell, Peek, and Beckley. Adopting the name America, the group landed a contract with Jeff Dexter, a promoter for the Roundhouse concert venue. Dexter had America open for several major artists and the group soon signed with Warner Bros. Records. By the fall of 1970, the group was recording their debut album in London, with producers Ian Samwell and Jeff Dexter. A Horse with No Name, America's debut single, was released at the end of 1971. In January 1972, the song -- which strongly recalled the acoustic numbers of Neil Young -- became a number three hit in the U.K. The group's self-titled debut album followed the same stylistic pattern and became a hit as well, peaking at number 14. Following their British success, America returned to North America, beginning a supporting tour for the Everly Brothers. A Horse with No Name was released in the U.S. that spring, where it soon became a number one single, pushing Neil Young's Heart of Gold off the top of the charts; America followed the single to the top of the charts. I Need You became another Top Ten hit that summer, and the group began work on their second album. Ventura Highway, the first single released from this collaboration, became their third straight Top Ten hit in December of 1972. In the beginning of 1973, America won the Grammy Award for Best New Artist of 1972. Homecoming was released in January of 1973, becoming a Top Ten hit in the U.S. and peaking at number 21 in the U.K. America's essential sound didn't change with this record; it just became more polished. However, the hits stopped coming fairly soon -- they had only one minor Top 40 hit in 1973. Hat Trick, the group's third album, was released toward the end of 1973; it failed to make it past number 28 on the American charts. Released in the late fall of 1974, Holiday was the first record the group made with producer George Martin. Holiday returned America to the top of the charts, peaking at number three and launching the hit singles Tin Man and Lonely People. Sister Golden Hair, pulled from 1975's Hearts, became their second number one single. That same year, the group released History: America's Greatest Hits, which would eventually sell over four million copies. Although America's 1976 effort Hideaway went gold and peaked at number 11, the group's audience was beginning to decline. After releasing Harbor to a lukewarm reception, Dan Peek left the group, deciding to become a contemporary Christian recording artist. The group continued as a duo; their last Martin-produced record, Silent Letter, was released in 1979 to little attention. America returned to the Top Ten in 1982 with You Can Do Magic, an adult contemporary pop number that featured synthesizers along with their trademark harmonies. The Border became their last Top 40 hit in 1983, peaking at number 33. After releasing America in Concert in the summer of 1985, the group continued to tour successfully into the '90s, resurfacing in 1998 with Human Nature. The early part of the new millenium saw America release not only a handful of live albums as well as a holiday-themed studio recording, but also the exhaustive, career-spanning box set Highway, released in 2000. On the heels of this renewed interest, America was tempted back into the studio in 2006 by longtime fans and musicians Adam Schlesinger of Fountains of Wayne and James Iha of the Smashing Pumpkins. Although encouraging Bunnell and Beckley to stick to America's core sound, producers Schlesinger and Iha brought in younger musicians influenced by America to guest on the album including Ryan Adams, Nada Surf, and others. With a release date set for early 2007, Here & Now features new material by America as well as covers written by bands heavily influenced by the soft rock pioneers. Book America for your next event! Would you like to have America perform at your next corporate event, party or concert? Simply fill out the simple interest form below, and we’ll start the booking process.